More and more people are going vegan, realizing that doing so can mean being healthier and happier. A diet free of animal products also means living a greener life and changing the world for the better—one plate at a time. 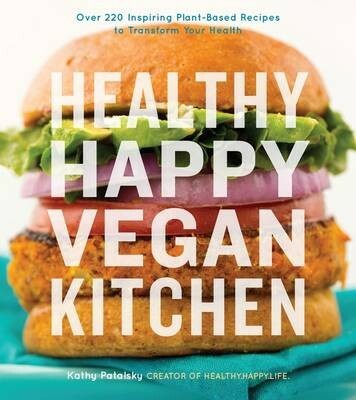 Kathy Patalsky, creator of the popular vegan food blog Healthy.Happy.Life, read by millions, makes sure eating vegan is fun and delicious too. In Healthy Happy Vegan Kitchen, it’s hard to believe that some of the flavor-packed recipes, like the Vegan Philly Cheese Sandwich and Ultra Creamy Cashew Veggie Pot Pie, are actually vegan. Along with the inventive recipes, the book also includes guides to help “veganize” your kitchen, cooking techniques for vegan staples, and wellness tips, making it the perfect book for both long-time vegans and newcomers alike.